Our smoke alarms have a 10 year sealed lithium battery and one of these should be fitted on every floor of your property. This is a smoke alarm with a 10 year sealed lithium battery (one per floor is required) AND a CO alarm in rooms with high risk gas appliances. When we fit our new Aico CO alarm in your property our gas check in following years will also provide you with a full combined gas safety & CO report. Once you fit these life saving products and as they last for 10 years it is a ‘fit and forget‘ you don‘t have to worry except for the regular testing of them. It hangs in the air in heavy bubbles in rooms where there are neglected or poorly installed gas appliances or installations…you can’t see if, smell it or taste it, but carbon monoxide (CO) can kill. The best way to detect CO is to install an audible Carbon Monoxide Detector, as strongly recommended by the Health and Safety Executive*, and to check it regularly. Our engineers carry highly sensitive digital flue gas analysers which will detect it, so if you suspect you have a problem with CO, call your local office who will organise the appropriate tests. And we will also provide you with a British Standard CO detector at a reduced rate. 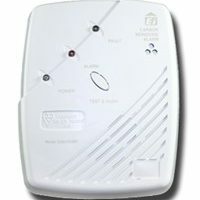 Detecting Carbon Monoxide Detector – the invisible killer. 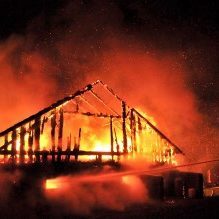 A recent survey revealed that 88% of UK households have a smoke alarm. This is reassuring, considering that every year there are 70,000 fires in homes. What is not so reassuring, however, is that the survey discovered that only 20% of UK homes have a CO detector. And fewer than half questioned (43%) knew that discolouration or staining around a gas appliance is a significant danger sign. So there is still a lot of complacency or ignorance surrounding CO. But, according to the latest figures from The Carbon Monoxide & Gas Safety Society, 367 people were killed by CO in the eight years to August 2003. ‘Near misses’ in the same period were 2,561, of which 1,394 required hospital treatment. The Society pinpoints the crucial importance of using a British Standard or European Standard CO detector with an audible alarm. Beware, they say, of the cheap black spot detectors because they are not approved by British Standards and do not have an audible alarm. The Society’s website highlights the case of a 19 year old student who had a black spot detector which did not prevent her from dying. An audible alarm would probably have roused her from her CO-induced stupor and saved her life. CO cannot be seen, smelt or tasted. Our engineers carry highly sensitive digital flue gas analysers which will detect it, so if you suspect you have a problem with CO in any of your properties, call your local gas-elec office who will organise the appropriate tests. And we will also provide you with a British Standard CO alarm. Why take chances, when prevention is simple and inexpensive?